The history of the M48 Patton and its daring use during the Vietnam war. 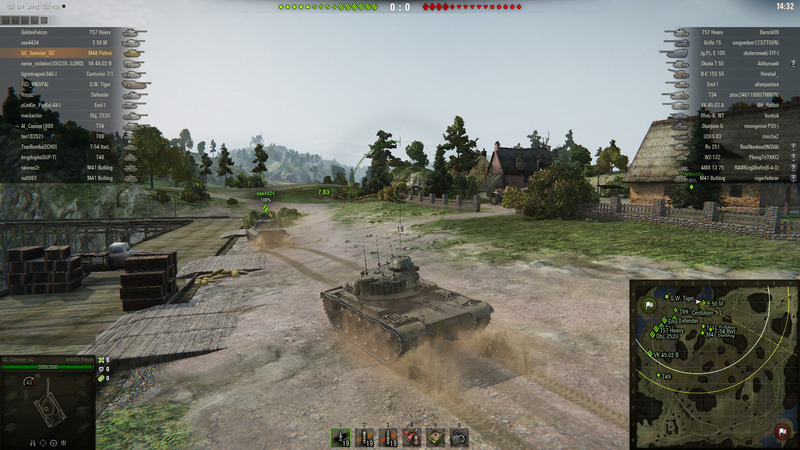 Named after General George S. Patton, the M48 Patton was designed as a replacement for the M47 Patton and the M4 Sherman, the latter of which was used by Lafayette Pool to take down over 270 German armored vehicles. Use of the M48 Patton was prevalent through numerous wars that the United States and her allies fought in, with one of the most influential being the Vietnam War. While its real-world use has come to an end, players who work their way down the USA Medium tank line will be rewarded with this American MBT. Note: If you’re interested in the history of other tanks, be sure to check out our History of Tanks hub. The M48 Patton's most memorable moment is arguably Vietnam, where it was primarily used for infantry support. Development of the M48 Patton began on February 27th, 1951 when the Ordnance Technical Committee (Minutes #33791) initiated the design. This new tank, before being called the M48 Patton, received the designation 90mm Gun Tank T-48, which was to include the 90mm gun along with numerous revolutionary changes from the previous Patton tanks. These changes were to affect the rangefinder, road wheels, return rollers and drive sprockets, as well as significant improvements to the hull. The M48 Patton’s hull was to be longer and lower, offering a smaller silhouette with sloped frontal armor and a hemispherical turret—strikingly similar to the Soviet Union’s T54/55 design. 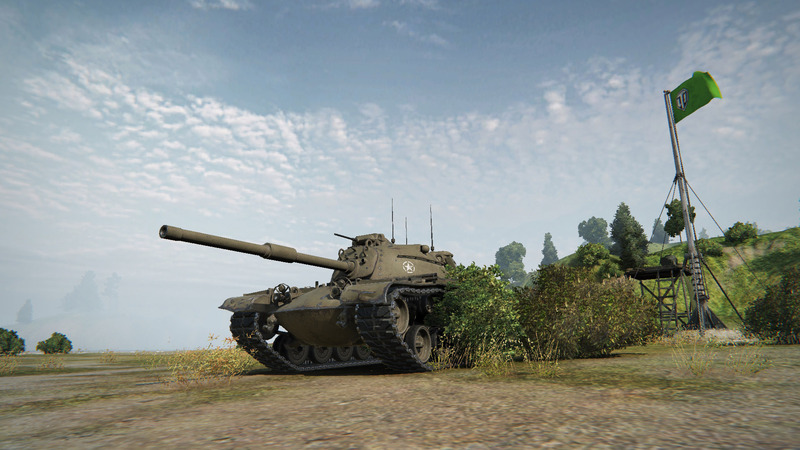 In World of Tanks, players pilot the M48A1, a version of the M48 Patton with slight alterations. The M48A1 was designed with a new driver hatch and M1 commander copula, allowing the secondary armament (a M2HB .50 caliber machine gun) to be operated and reloaded from inside the protective armor of the vehicle. Later in its life cycle, the M48 Patton received an upgraded main armament in the form of a 105 mm gun. By the middle of the 1970s, the M48 Patton required upgraded weapons. As such, the Patton's 90 mm M41 was swapped with a heavier 105 mm gun. 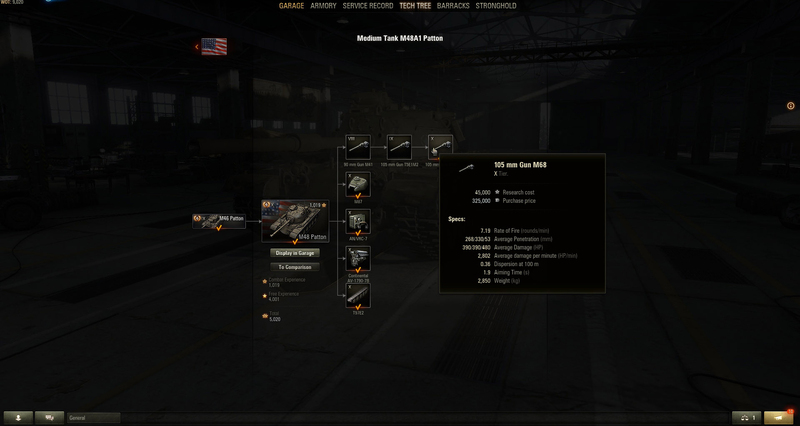 This upgrade is also reflected in-game, as tankers are able to upgrade to the 105 mm Gun M68 after researching the 105 mm Gun T5E1M2. The main bulk of combat that the M48 Patton saw took place in Vietnam, which remains one of its most memorable moments in history. Over the course of the war, more than 600 M48 Pattons were deployed with the US Forces, and although it wouldn’t see much tank-on-tank action, its main use was infantry support. Tankers who work down the USA Medium tank line will be rewarded with the M48 Patton, a Tier 10 Medium tank. Due to this support role, the M48 Patton, along with the Australian 20-pounder gunned Centurions of the 1st Armoured Regiment, were some of the only vehicles that were able to protect their crew from the numerous land mines that were used during the war. With nearly 12,000 units produced, the M48 Patton stands out as one of the USA’s greatest tanks. The Patton's revolutionary design saw it through many conflicts, and although it no longer sees much military use outside of the Middle-East, tankers are still able to get their hands on the M48 Patton by working down one of the best USA tank lines in World of Tanks. Thank you to Tanks-Encyclopedia.com for the historical information regarding the M48 Patton.